Providing you the best range of stainless steel 202 j4 mirror polish tubes and stainless steel 316 mirror polish tubes with effective & timely delivery. 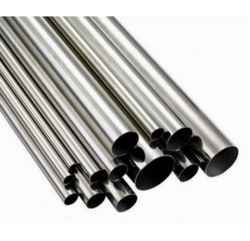 Being one of the prominent organizations, we are involved in offering a wide range of Stainless Steel 202 J4 Mirror Polish Tubes. This Stainless Steel 202 J4 Mirror Polish Tubes is one of the most preferred choices among our valuable customers. They are precisely designed and accurate in dimensions. Engaged as a manufacturer and supplier, we are engrossed in offering Stainless Steel 316 Mirror Polish Tubes. These tubes are manufactured using high-grade stainless steel that is sourced from authentic vendors of the industry.